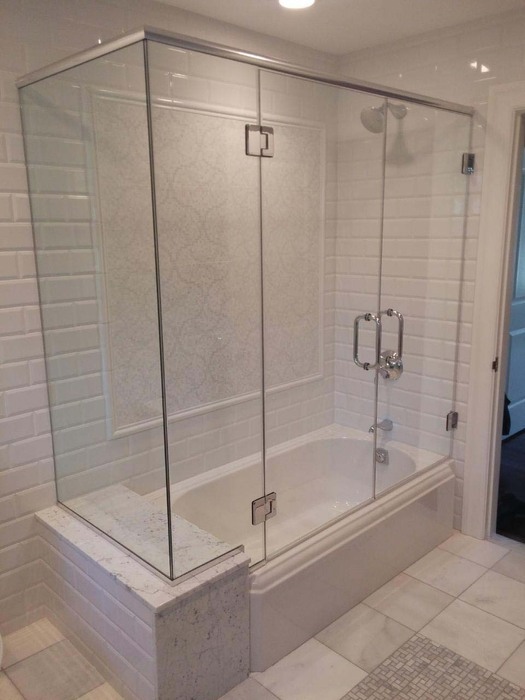 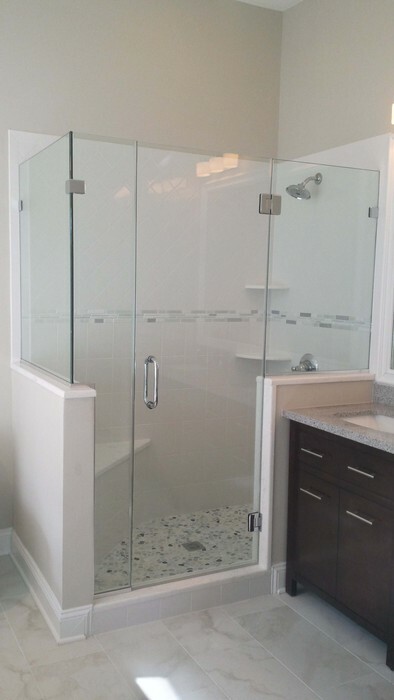 Cutting Edge Glass installs beautiful custom, frameless right-angle enclosures with decorative hardware available. 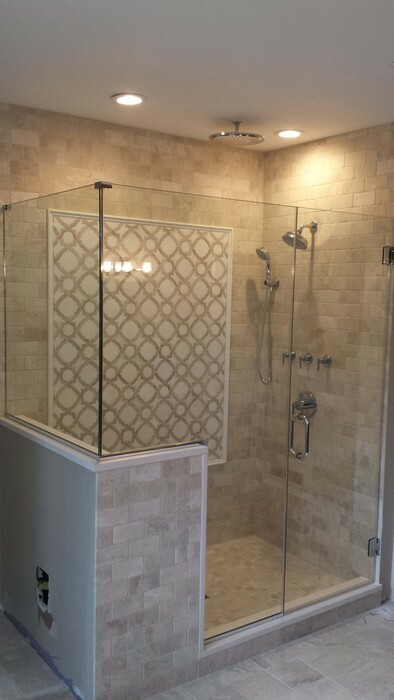 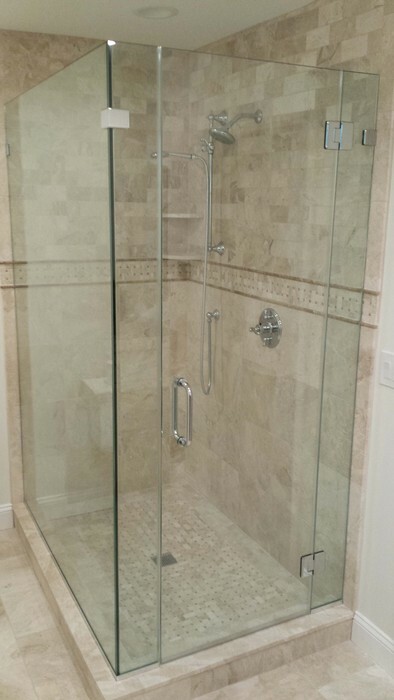 This shower enclosure is distinguished by the fact that each corner glass joint forms a right angle. 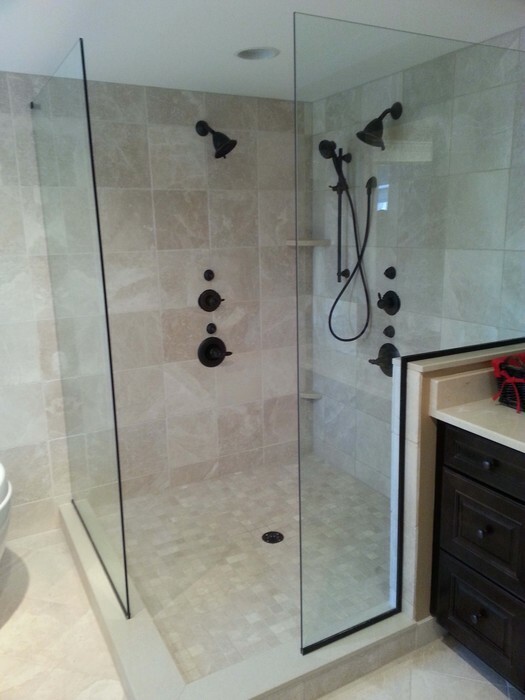 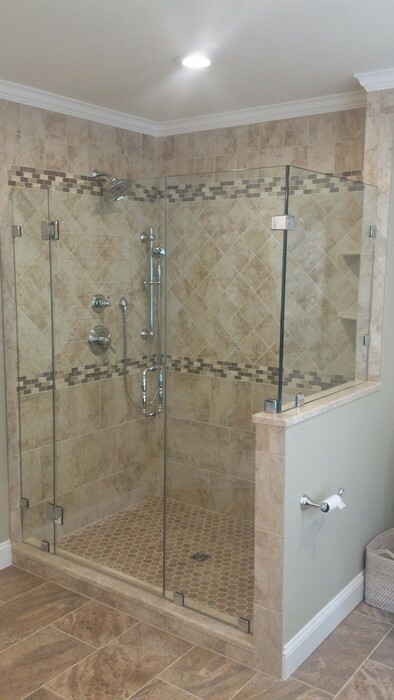 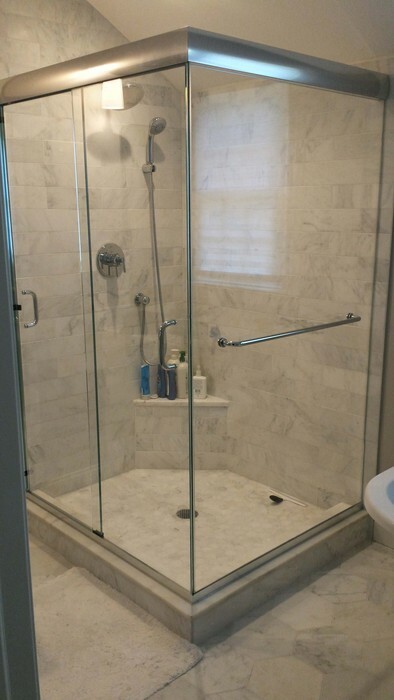 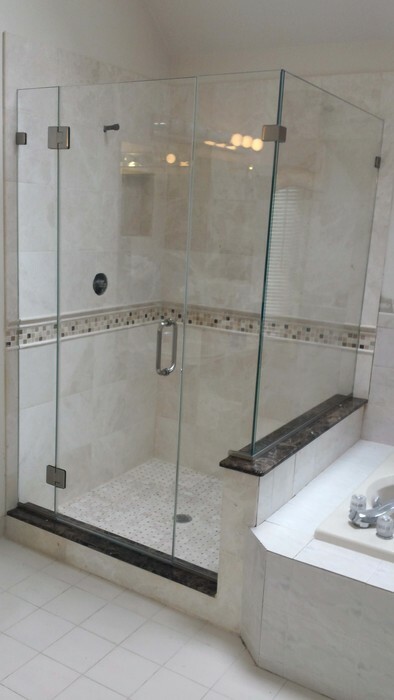 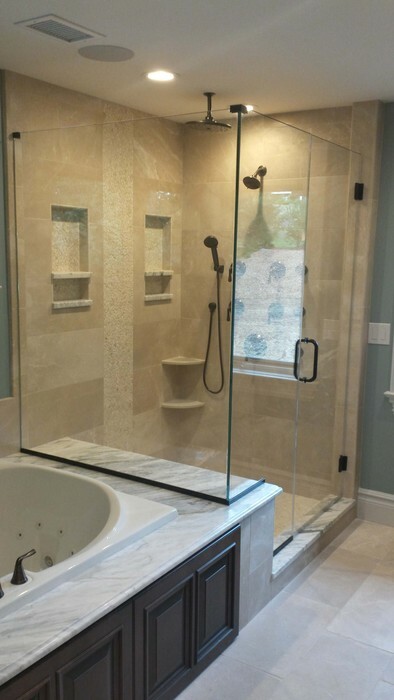 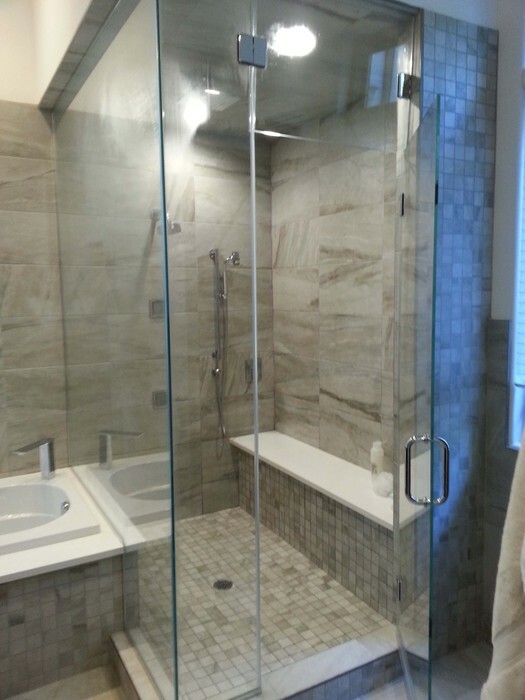 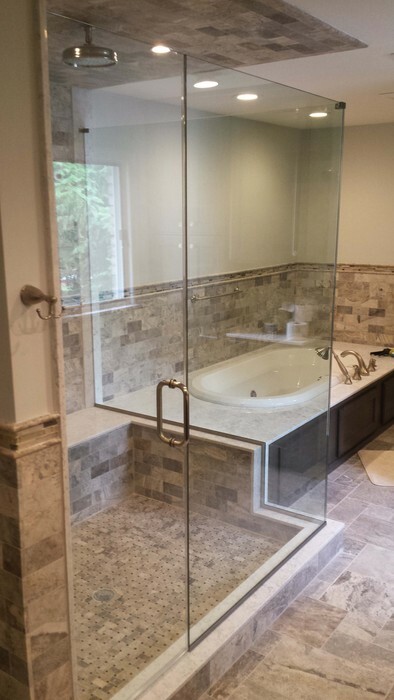 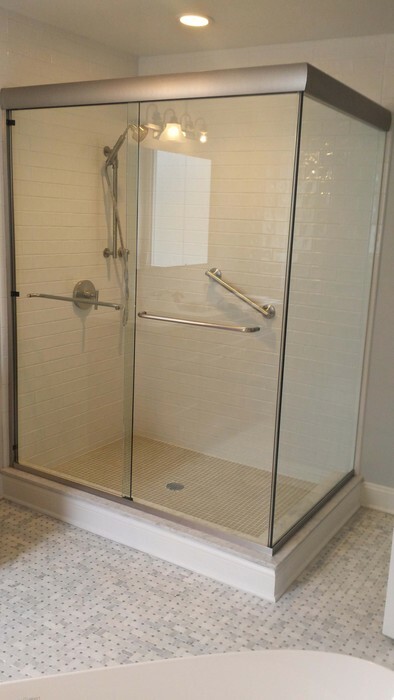 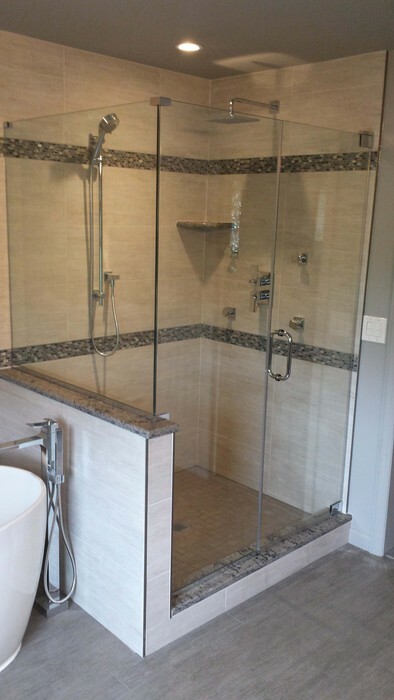 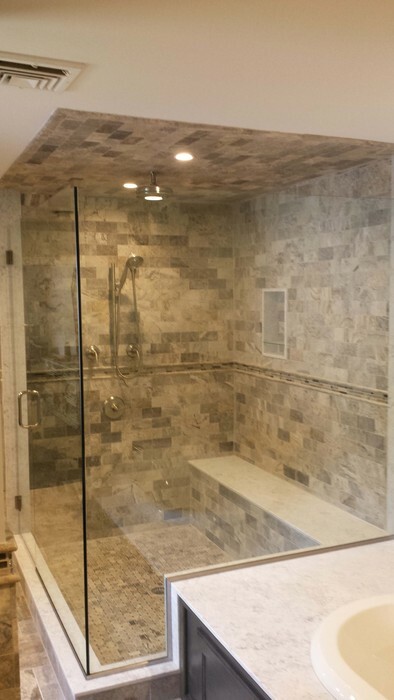 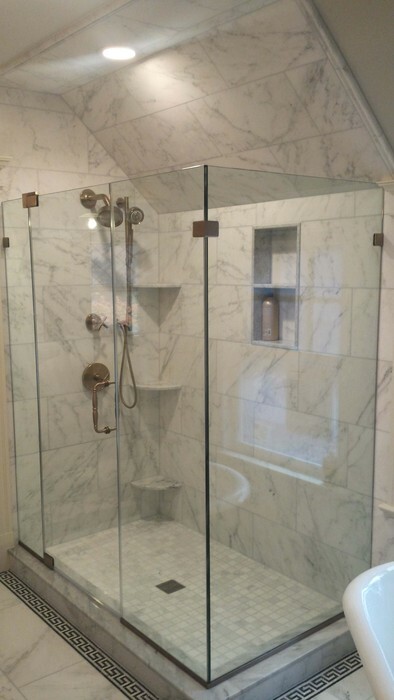 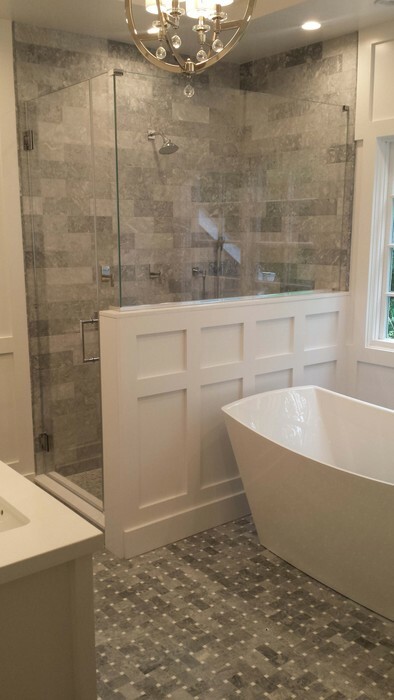 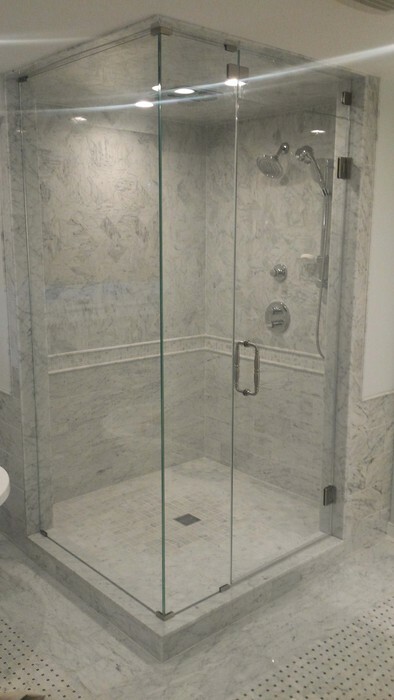 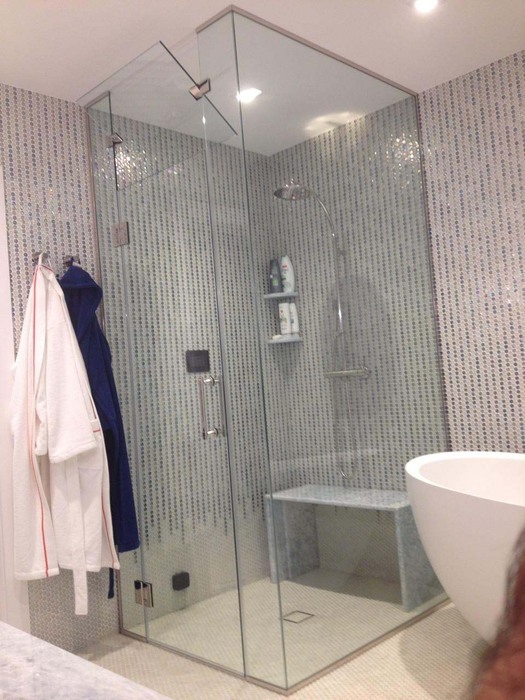 The right angle shower enclosure depicts an appearance that is classic, bold, and well-defined, and both swinging and sliding doors are used on enclosures in the right angle enclosure.